The STAAR Visian ICL is an implantable lens designed to provide excellent vision to those individuals who are not suitable candidates for LASIK Surgery because of refractive error or corneal thickness. Over 100,000 ICL lenses have been already implanted worldwide. The STAAR Visian ICL is made of a soft biocompatible co-polymer of Collamer and Fibronectin designed to be easily implanted in the eye. The ICL is engineered to vault over the natural crystalline lens of the eye. The STAAR Visian ICL has been designed to be easily inserted through a small self-sealing corneal incision using an injection cartridge. 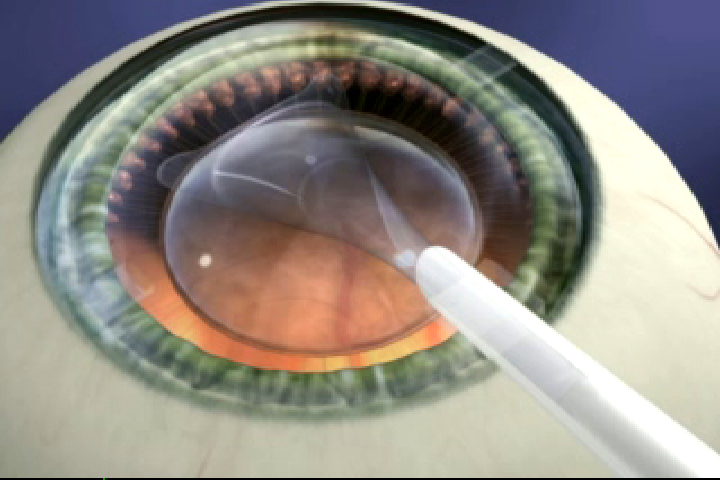 The tip of the injection cartridge containing the pre-folded ICL is introduced into the anterior chamber and the ICL is slowly extruded into the eye under the protection of a clear viscoelastic material that has been previously placed in the anterior chamber to protect the cornea and the crystalline lens. As the ICL is advanced from the cartridge into the eye, it slowly unfolds until it assumes its final plate configuration. 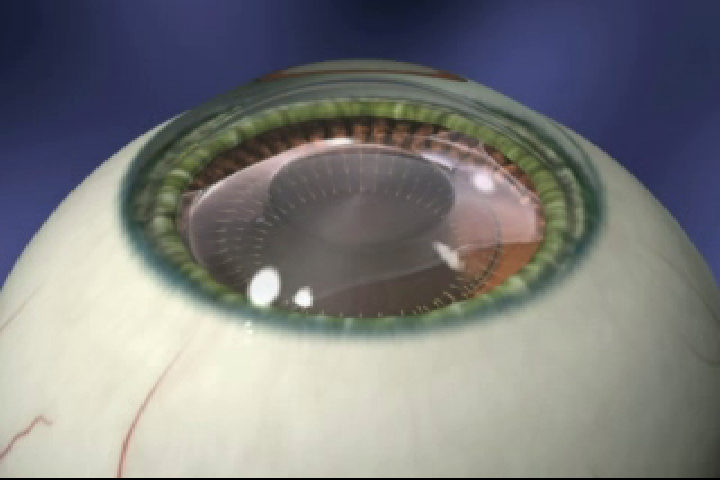 After the ICL has been completely released into the eye, it is seated on the iris supported by its four corners (haptics).